Last month, in the midst of putting together a research report,.... with the growing world's aged population and reduced child mortality rate,.... yes, I could probably make that quilt.!! 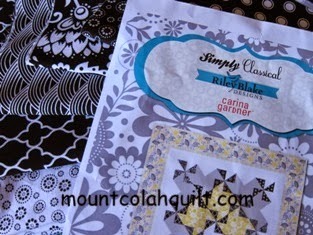 Before I knew it, I have committed myself to make a quilt for Mill House Collections by Riley Blake Designs. 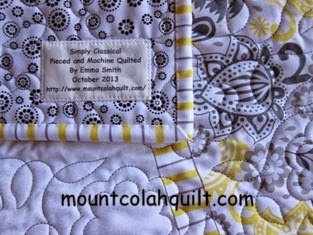 The quilt pattern, 'Simply Classical', is designed by Carina Gardner. Three days later, the kit arrived but I was going on holiday.! So, I needed a plan to ensure that I would finish the quilt by the set deadline (19/10/2013). Project management isn't unfamiliar, and so, the planning wasn't a difficult task. 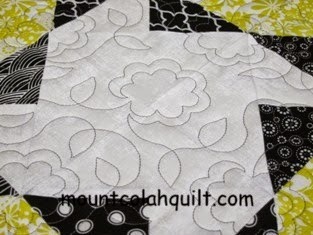 It did take me a little while to find a quilting pattern that I think would complement the quilt, and at the same time, show off fabric designs. 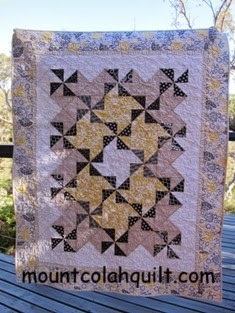 I chose the quilting pattern named 'Candy Land' by Anne Bright and quilted the quilt on my wonderful Gammill Statler. The quilt was completed last Sunday (13/10/2013). 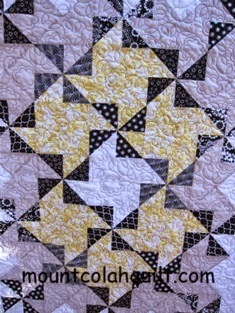 I enjoyed the process and was pleased with the finished quilt. 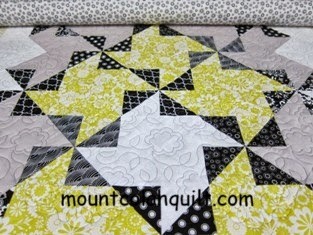 It has already been sent to the company and will be used to promote the fabrics in Mill House Collections. I will eventually have it back, some time in the future.